Everyone love to change their smartphone wallpapers according to their mood, thinking, and character. Android phone is mainly used for customization of Wallpapers, Themes, Icon Packs, Launchers, Android versions, and other special applications. Based on the individual character, they prefer some special wallpapers for their Android device which suits them. One of the Special featured Wallpaper Apps are recognized as Minimalist Wallpaper Apps. These Minimalist Wallpapers Apps will change the entire look and posture of Android phone. Minimalistic Wallpapers attracts the art form inside every person and changes the way of thinking and represents the pleasant feeling in them. 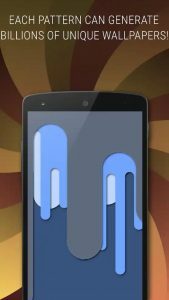 In this article, I will show you Top 10 Best Minimalist Wallpaper Apps for Android and their features. Minimalist Wallpapers is one of the Best Minimalistic Wallpaper which is offered by Junaid Maknojiya with extraordinary features. It has Background Images HD quality and Cool Wallpapers which are designed in Minimalistic and Artistic form. Some of the special features include Daily New High-Quality Minimalist Wallpapers arrival, Beautiful Layout, Slideshow of Wallpapers on the app, and Wide range of minimalist wallpapers with separate categories. 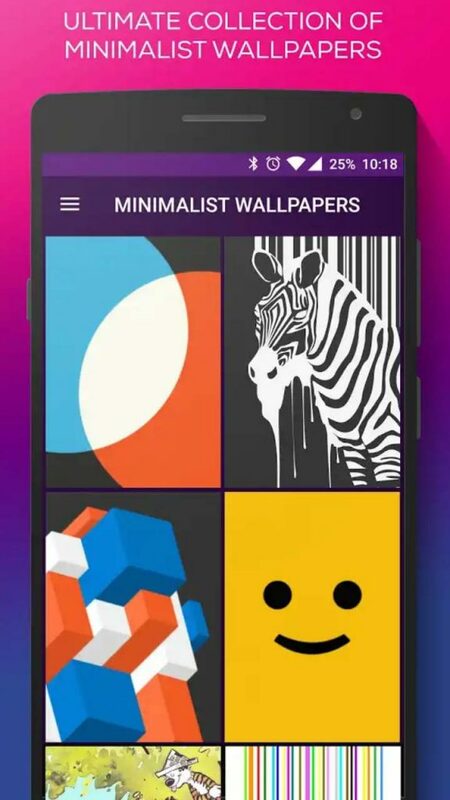 Download Minimalist Wallpapers App from Google Play Store for free and give your opinion in the comment box below. Minimal Wallpapers is another Best Minimalistic Wallpapers App available on Google Play Store for free. It has over 1000+ Minimalist Wallpapers and Backgrounds, customized to fit with any screen and widgets. This Minimal Wallpaper is offered by Graphics with a huge collection of HD Artistic and Minimalist Wallpapers, Shuffle Wallpapers, New categories for every week, Add to Favorite Option, Share, Save, Crop, and all other easy customization settings. Beautiful Layout with a Material Dark Theme and HD Background. If you are looking for Full HD Wallpapers and Best Mobile Wallpapers then you should definitely try this Walli App. 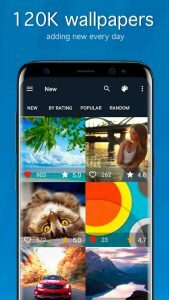 Walli – HD Wallpapers and Backgrounds, the name itself says that this app has a Huge Collection of HD Wallpapers and Backgrounds with different categories. Wallpaper for Mobile will give the artist both money as well as recognition for their works. 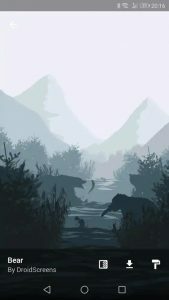 Walli is one of the Best Minimal Wallpaper that has different categories like Animal, Space, Nature, Quotes, Skulls, Black Background and free to Download Walli App from Google Play Store. Backgrounds HD is a similar app for Minimalist Wallpapers that have rated with 4.6-5.0 on Google Play Store by 2,200,000 people. This app has simple User Interface and great performance with daily updates of wallpapers selected by OGQ staffs. Its special features are simple, fast and light OGQ Backgrounds with Full HD Wallpapers. It has options like 30+ categories, Featured Wallpapers, Recent and All Time Popular Wallpapers and you can also shuffle the Wallpapers and Backgrounds day by day. Download Backgrounds HD App from Google Play Store for free. 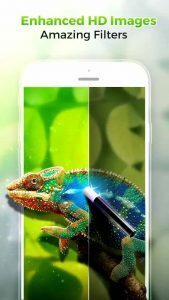 Kappboom is one of the Best Alternative for Minimalist Wallpapers that has many best features like 200,000+ collections of Enhanced HD Images of Mobile Wallpapers. You can personalize the Wallpapers into Stickers, Effects, and much more. It is upgrading the Full HD Wallpapers with different categories like Babies, Funny, Space, Food, Drinks, Sports, Cartoons, Logos, Movies, Comics, Animals, Beach, Technology, and much more. 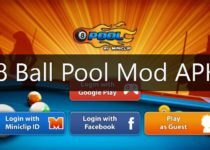 Its special features are Search by Wallpaper Color and Tags, Live Wallpapers, Share via Facebook, Twitter, Email, and other social networks. Wallpapers HD is one of the Best Minimal Wallpapers App that has 4K Backgrounds, HD Wallpapers and some of the Minimal Wallpapers. It has many best features like Honest sizes of Wallpapers, customization settings, Crop Wallpaper for your screen, more than 80,000 Beautiful HD Background Images and Wallpapers, Save Battery and Resources, Follow particular category of Wallpapers, Huge collection of categories, Image Optimization, and Easy User Interface. Download Wallpapers HD, 4K Backgrounds App from Google Play Store for free. 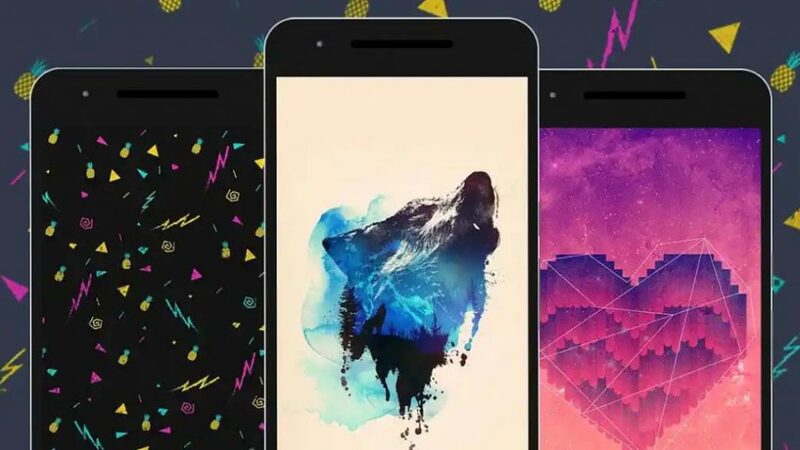 Tapet is the Best Wallpaper App for Android which is an award-winning Wallpaper Generator in Minimalist Wallpapers and also the first app of its kind. It has different patterns each can create some more Unique Wallpapers. Some of the New features are Free Trials, Color Picker, Pattern Manager, App Shortcuts, Muzei support and History of applied and liked Wallpapers. Mobile Wallpapers are created according to your device and no Wallpaper for Mobile is downloaded from the internet. These Mobile Wallpaper HD are rapidly generated on your device. Download Tapet App from Google Play Store for free. Muzei Live Wallpaper also includes the Minimalistic Wallpapers in its Designs and it is one of the Best Alternative for Minimal Wallpapers App. On every Wallpaper App we can see the Muzei Support Option but here we are having the Muzei Live Wallpapers which supports perfectly on any Android phone version 5.0 and above. 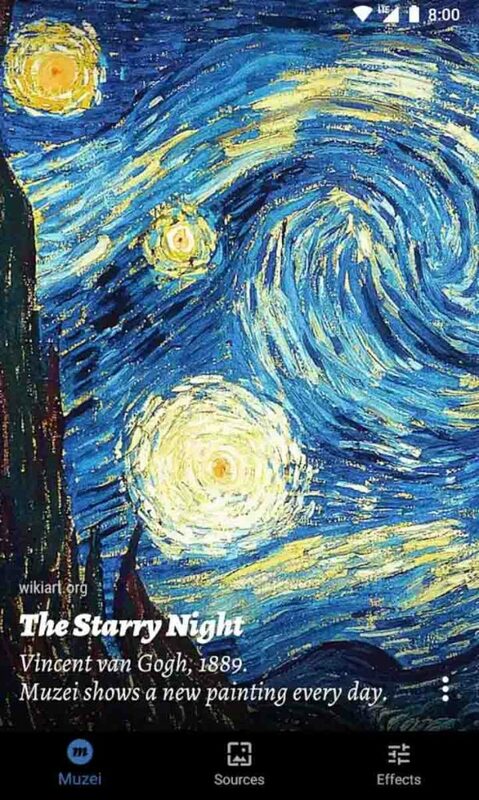 This Muzei has the huge collection of Hot Wallpapers like The Starry Night, Self-Portrait, Mona Lisa, Netherlandish Proverbs and Embarkation of Ulysses which are Best Artistic and Minimalistic Wallpapers. 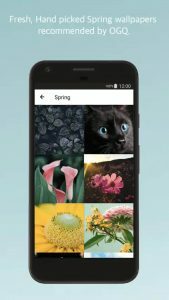 Flat Wallpapers is the Best Minimal Wallpapers App for Android which has 336 Flat Wallpapers made by DroidScreens with Muzei Support and Updated every month with new wallpapers. In this, you can find the Wallpaper HD for mobile with categories like Android, Galaxy, Landscapes, Circles, Colors, Gradients, Holidays, Pattern, Mosaic, Shapes, LowPoly, Lines & Stripes all are Minimalistic Designs. 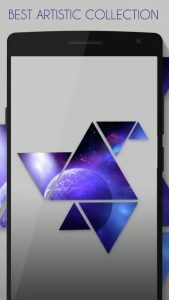 If you are looking for Best Minimalist Wallpaper App then you should try this app which has a huge collection of HD Wallpapers for Mobile. Pattern Wallpapers is one of the Best Minimalistic Wallpapers App for Android recommended for Beautiful Pattern Wallpaper users. This app has a unique collection of Colorful Wallpapers and HD Backgrounds that are varied by Inspiring patterns and Saved Hearts. In this, the Wallpapers are arranged with preferences like Random Patterns and Newest Patterns. If you are looking for Minimalist Wallpaper then you can try this app which has few Minimalistic Wallpaper Designs. 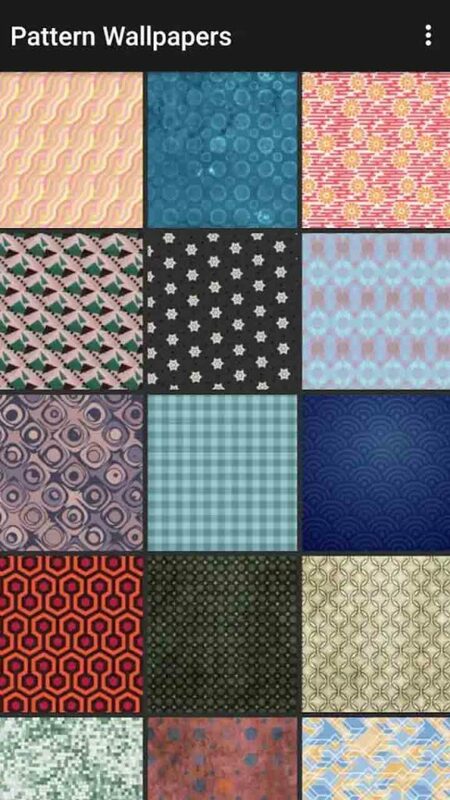 Download Pattern Wallpapers from Google Play Store for free. I hope this article Top 10 Best Minimalist Wallpaper Apps for Android 2018 is helpful for you to choose the Best Minimalistic Wallpapers App for Android. If you like this article, then do share with your friends and family. If you have any queries and suggestions, please let us know and feel free to comment us below.